Books actually have a lot more in common with radio than they do with TV or film but are probably the hardest work out of all media. They also offer the greatest rewards. No spoilers here, but there was a point in China Mieville's The City and the City which had me thinking "No! You can't possibly do that!" The author's world building skills were so strong that I felt the shock of the moment just as strongly as the book's characters did. I don't think you could get that in a film; by its very nature a book gets more into your head. Language defines our consciousness, so books become us whilst films are only experienced. The only thing more pleasurable than reading a book is writing one, but that's even harder work. One of the tricky parts is deciding which narrative mode to use. There is more to this than meets the eye; it's not just a case of deciding between first-person ("I said") or third-person ("she said"). There are a number of different combinations of mode that work, but an even greater number that don't. However, if spleen-venting is not required, then limited third-person subjective is often better. In this mode all characters are referred to as "he" or "she" but we are only privy to the innermost thoughts and feelings of one character at a time. This need not be as restrictive as it may initially sound. A clever author can build a novel out of a series of different limited third-person subjective modes which can be particularly powerful if a character is first seen from the "outside" before the mode eventually switches to them. A fine example of this kind of storytelling can be found in Pat Barker's Regeneration trilogy. This approach does carry the risk of getting it wrong though and inadvertently flinging the reader out of their comfort zone in the process. 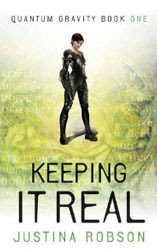 I am currently reading Keeping it Real, the first volume in Justina Robson's Quantum Gravity sequence. Whilst the novel itself is great fun, combining as it does near-future SF, fantasy, magic and the music business, there was a moment when my reading of it was almost derailed by an unexpected shift of perspective. For more than half the book, the narrative was firmly limited to a third-person subjective view of agent Lila Black and we were privy to almost everything that made her tick - which was especially interesting given that she's a cyborg. Then all of a sudden it switched to rock star elf Zal for a single chapter (a trick repeated a couple of chapters later). I tend to favour third-person limited subjective myself but make sure that I stick to one viewpoint to avoid any problems of the kind described above. It's a fine modus operandi in theory, but it comes with its own set of problems. Well, one problem, but it's a big one. The problem is how to get a physical description of the person in whose mind the reader is riding into the narrative. It's more difficult than you might think. As a reader you're eavesdropping on the central protagonist's internal dialogue, and not even the most vain and self-obsessed of us are constantly describing ourselves in our heads. Some authors get around this by having the character look in a mirror. This works, but strikes me as a bit old hat, a bit cliched. Others just don't seem to address the issue at all, and that works fine for them. 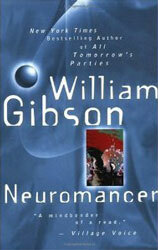 We never really get a description of Case in William Gibson's Neuromancer, but that doesn't seem to matter. His actions and attitude tell us all we need to know and we get an impression of him as a depressed film noir anti-hero in a trenchcoat. Why should we know what he looks like? We're in his head. Most of the time I am sure we have no idea how we actually appear to the world, which is why seeing ourselves on film is so disconcerting at first. Interestingly Gibson shies away from describing Case even when he has the opportunity - firstly when Case is riding virtual shotgun in Molly's head and then again when the central characters come across Riviera's holographic caricatures of themselves: "The figure that slouched there was a fair approximation of the one he glimpsed daily in mirrors. 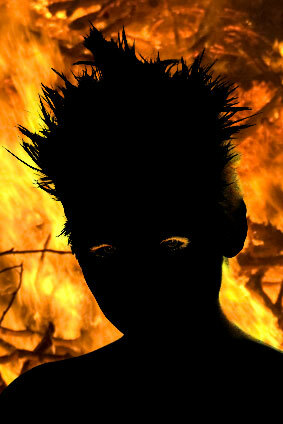 Thin, high-shouldered, a forgettable face beneath short dark hair." I'm somewhat unwilling to go along that route. I have a pretty good idea of what my central character Genie looks like, so would like to nip any mistaken impressions the reader might get of her in the bud. Whilst workshopping sequences of the novel during the Creative Writing Certificate course I completed last year, I was told by some of my fellow students that they imagined her as perhaps looking like Rhona Cameron or Kylie Minogue. This is quite some distance from the truth as in actual "fact" Genie is extremely tall with short peroxide blonde hair. I still don't have an adequate solution to this conundrum. I've planted seeds of the various aspects of her appearance as early as possible in the book (as nothing can break the spell faster than the description of a physical characteristic at odds with what the reader has already built up in their head), but can't put in anything more concrete without transgressing the rules. This is where TV and film have an advantage, provided you can find the right actress, but you lose the internal dialogue. And this, when it comes down to it, is the most important thing. Language defines fictional characters even more than it does us. 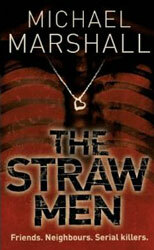 What I like to do is work it in over the course of the novel by relating the character to others or through action. "He was taller than me but not so tall that I couldn't kiss him on tiptoe." "She was blonde like me but hers obviously came from a dollar store bottle of dye." Stuff like that. "Her tears formed a puddle. A reflection. She hated her face; misery accentuated her age.."